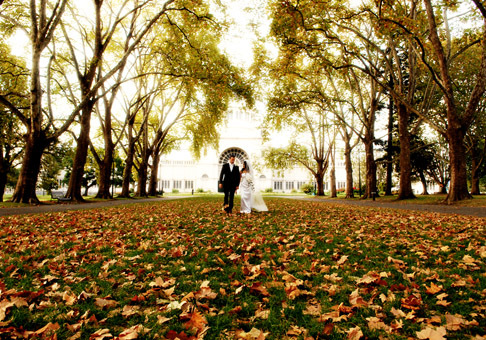 What a wonderful back drop for your photos on your special day! The colours are magical. 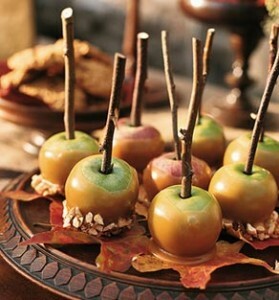 Yummy toffee apples reminiscent of Bonfire night! 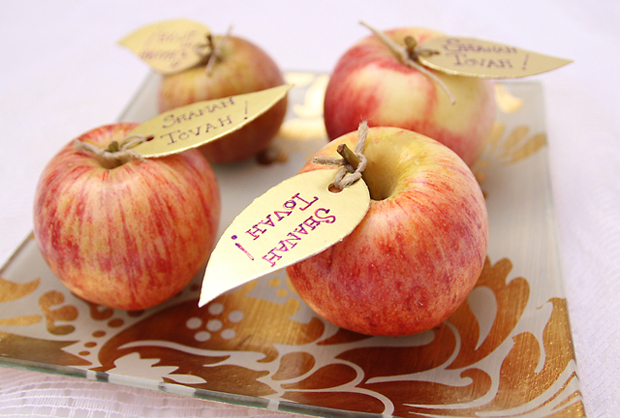 Great idea for a sweetie table, favours or late night snack! Perfect idea for place names- very simple but will look very striking and can suit two completely different colour schemes depending on whether you choose to use red or green apples. Very simple but incredibly effective. Let the excitement of your big day build by going to collect acorns or chestnuts with your fiance in the few weeks running up to your wedding. 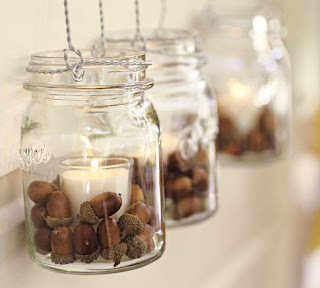 This interpretation of jars of acorns has a really rustic handmade feel to it- the perfect way to personalise your wedding. Create a striking entrance table to your venue by filling glass jars full of natural goodies collected on long autumn walks. 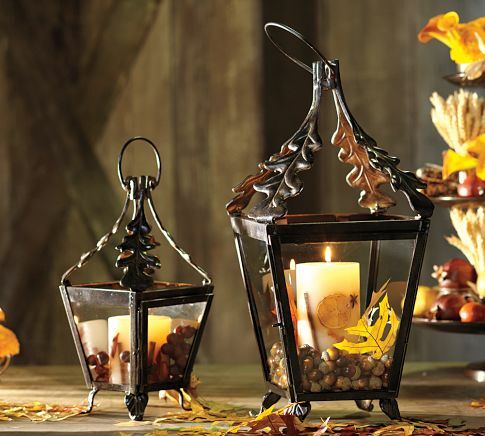 These autumn lanterns will add a warm glow to your wedding, making it feel all cosy and romantic! 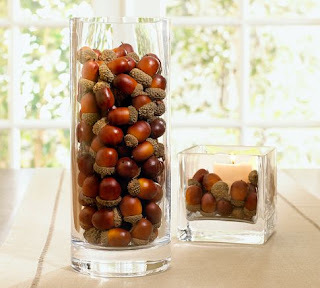 Perfect for lining the aisle, using as centre pieces or putting outside to lead to way for your guests in the evening. Maybe not technically styling, but setting up an area for a game of conkers would be a fun way to get your guests involved and interacting with each other. Might be a good idea to provide rules and goggles for anyone who gets too competitive though! 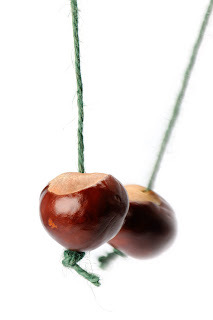 A themed area set up with rules, conkers and signs would look really great. Pumpkins! The epitome of Autumn. These gold painted pumpkins look amazing in a bowl altogether as a centre piece or would look great as place names with brown luggage labels tied onto the stalks. 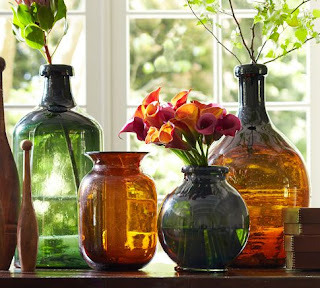 Inject a bit of colour with some coloured glass. These are real statement pieces and would look fantastic on pedestals at the entrance. 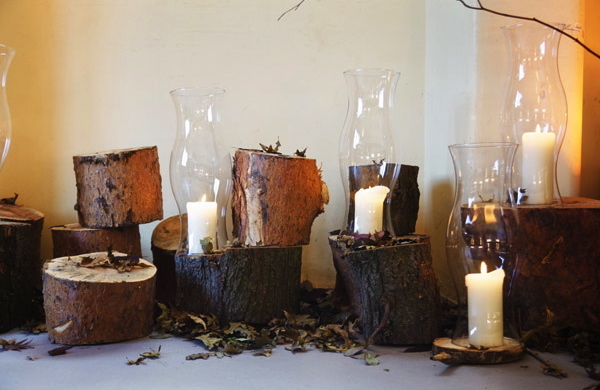 Create a ‘wow’ focal point with minimal effort- collect some logs to create chunky candle stands. Be sure to cover up the naked flames with covers like these. 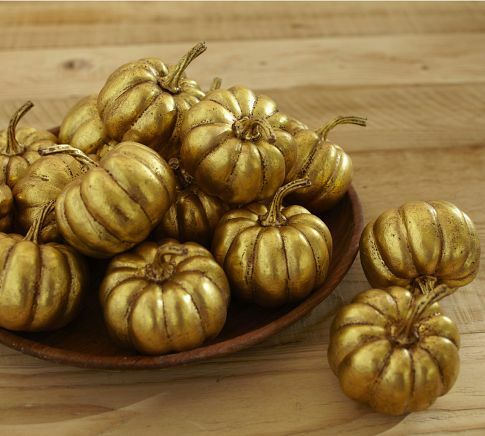 You might think this is an idea reserved for Halloween only, but we disagree! Bring some fun into your big day and carve pumpkin lanterns for when it gets dark. This example fun but still remains classy and romantic. 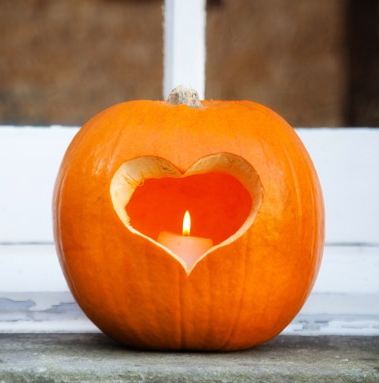 If you’re up for some real fun, buy some pumpkins and get your guests to carve them, hours of guaranteed entertainment but make sure you provide aprons so the ladies don’t get their frocks covered in pumpkin! 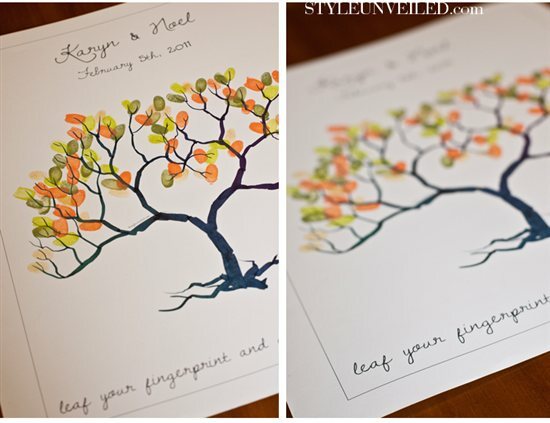 A fab alternative to a guestbook and perfect for an autumn wedding- each of your guests can add leaves to your tree by leaving their finger prints. A really personal idea which will look beautiful framed and hung on your living room wall afterwards! 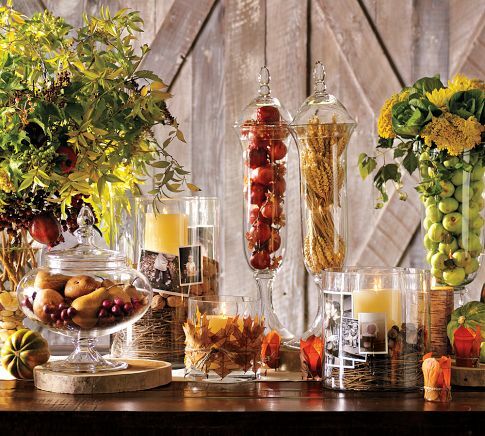 The great thing about autumn weddings is that they are perfect for simple, home made and rustic styling. And whats more, most things can be found around you in your garden or out on a walk- you will have great fun collecting bits and pieces with your loved one in anticipation of your big day and each of you will feel proud of your contributions on your big day!